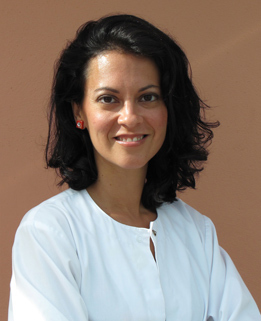 Bethel Sabin is a New York State licensed Acupuncture Physician. Her specialties include pain management, women’s health, mental health, anti-aging treatments, and overall health and wellness. Bethel is a 2nd generation Acupuncturist and has more than 8 years of clinical experience. She holds a Bachelor’s degree in Art Science from Florida State University and a Master’s Degree in Acupuncture and Oriental Medicine from the accredited Atlantic Institute of Oriental Medicine. Dr. Sabin also has additional training in Five Element Acupuncture, NSEV Healing, Trigger point needling, and Chinese herbal medicine. She is licensed to pratice in New York and Florida. Bethel is a lifelong proponent of Chinese Medicine and Herbal remedies (her mother is also an Acupuncturist), and she believes these remedies have helped with her own healing throughout her life. Dr. Sabin is a dedicated practioner and strives to provide the highest quality of care for her patients. She is a believer in using Acupuncture, daily meditation and exercise to maintain balance and a healthy mind and body. Bethel is fluent in Spanish and certified in Basic Life Support. While her passion is Acupuncture, she continues to utilize her education in the Arts. In her spare time, Dr. Sabin enjoys painting and creating jewelry.